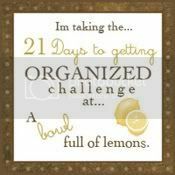 When I started the 21 Days to getting Organized Challenge over at A bowl full of lemons, I never claimed I was going to do it over 21 consecutive days! However, I did accomplish Day 2's task - the Computer Desk - today between preparing some goodies to take to big sister's house to watch the Super Bowl (or at least the commercials) tonight. And I do keep Big Red fairly neat so I decided to tackle the places where I keep the "computer desk" stuff. I usually stash small items inside the desk if company is coming. When I work from home, I turn my kitchen table (which my dad also refinished for me) into a work space. 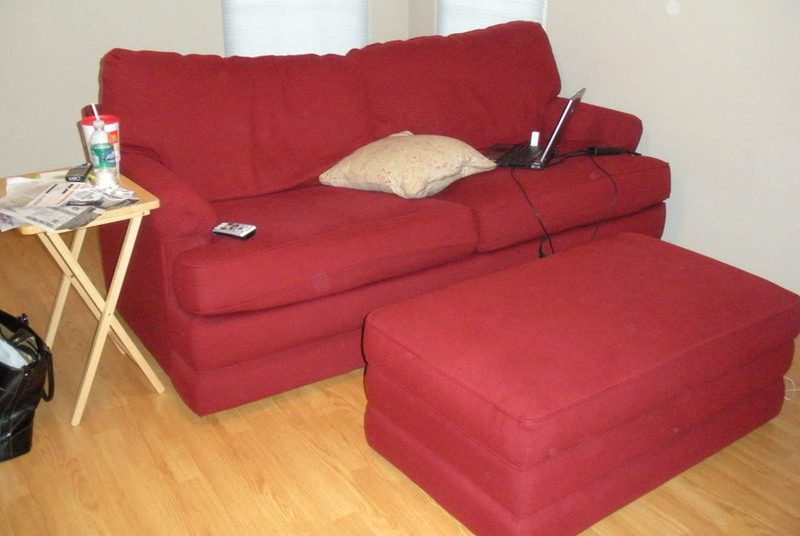 Please ignore the mismatched chairs...my parents are still on the look out for some. I also have a great closet under my stairs that I store stuff in. It's also the nephews' toy closet so watch for it on Day 9 when it's time for toy organization! In addition to cleaning all of these spaces, I also got my shredding done today! What does that have to do with this organization task? The shredder is stored in the closet so I got the idea to tackle the shredding while emptying the closet! A couple of things I noticed today...1) my hoarding ways extend to scotch tape (found at least a dozen MORE rolls today to go with the 10 or so already in my junk drawer) and 2) it was time to recycle some phone books (I don't need two from 2009 and three from 2010!). The table shot was boring so I decided to show you what replaced the mess on the table. Some delicious white-chocolate candy mix with Valentine's M&Ms for the party tonight! I even have some extra storage space in the closet now! Now it's on to the next task...Tupperware Cabinet. Again, don't really have one of those so I'll tackle a couple of cabinets that hold Tupperware and other kitchen stuff next. You are doing real well with the organizing. I like the little desk. whooohooo, i'm still rooting for ya! WOO HOO! Awesome job! Just looking at the "after" pics makes me smile, until I catch a glimpse of my computer table....sigh. There's always tomorrow! What's day 4? I did the tupperware cupboard today but can't remember what's next. Linen closet. Hmmm...I don't really have one until my new bathroom is done. I think I'll skip that one. And day 5 is under the kitchen sink. Hubby did most of that for me today. Which leads me to day 6: Dresser drawers.